Growing up, my parents always quoted Bible verses aloud, so I naturally memorized Scripture without trying. God's Word does not return void, right? So let's prioritize speaking Truth to our kiddos! It's important for us all (kids and adults) to pray out loud. Let's pray with each other and for each other! And let's pray more often than meal time and bedtime, okay? Our family often prays for just 1 family member at a time. We thank God for them and ask Him to bless that person. It's a special, cherished time. The Bible equips, so let's get into His Word a lot! Kids need to hear what the Bible says, they need to read what the Bible says (if old enough), and they need to attend church regularly. This is investing in the most eternal relationship! We love our offspring, so let's pray blessings over them. 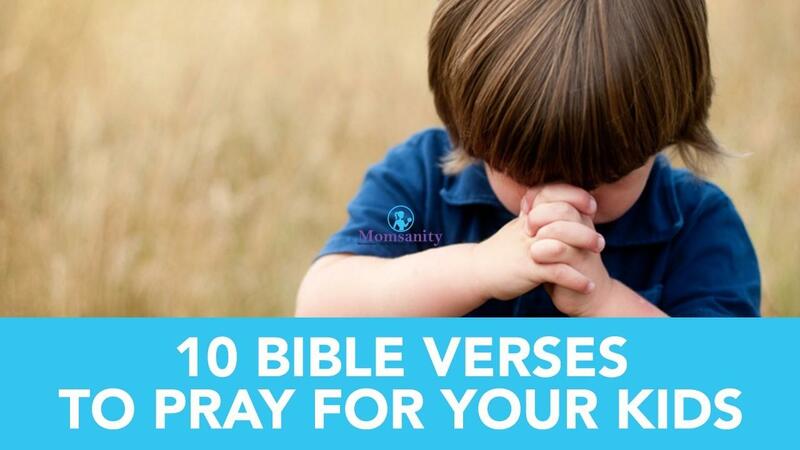 Here are 10 benedictions to pray out loud over your kids (this is NOT some kind of name-it-and-claim-it prosperity junk)! If we repeat them often enough, everyone will memorize God's Word! If you'd rather LISTEN than READ, click HERE for the Facebook Live Broadcast version!